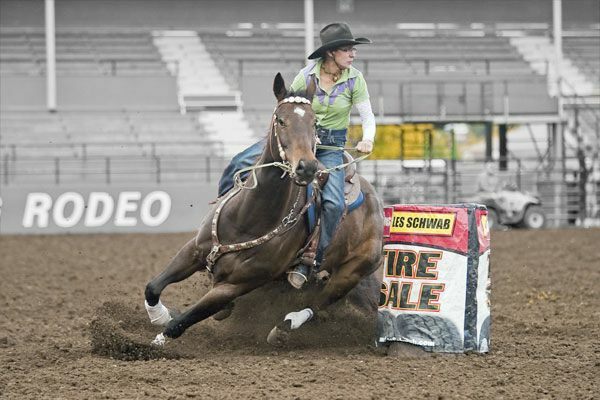 Cheyenne winning the WBRA Open Division in 2012...and Nike winning HORSE OF THE YEAR! 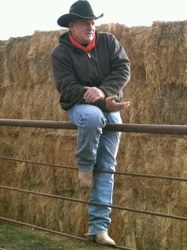 We have for sale weanlings, yearlings, & 2 yr olds on up. Feel free to contact us, we'll have a horse to fit your needs. 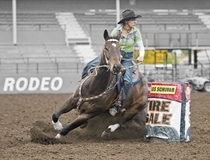 Diamond Slash Quarter Horses, owned by Randy and Cheyenne Allan, is located in the Yakima Valley between Mabton and Sunnyside, Washington. We have been in business for over 30 years and strive to raise performance horses that can be used for a variety of jobs or competitions. These bloodlines are used for barrel racing, calf roping, team roping, team penning, trail riding, polo, pleasure riding any way you would want to go with them. We also run some of our horses under the S2 brand with our partner Steve Isaac. Diamond Slash runs three stallions and S2 runs two. We believe in SPEED, ABILITY, DISPOSITION, AND AGILITY! Most of our mares are running bred mares. We run approximately 60 proven mares that carry bloodlines of Dash for Cash, Easy Jet, Jet Of Honor, Go Man Go, Driftwood, and Docs Jack Frost to name a few. Our horses get used like ranch horses from the time they are started and are trailered to various ranches, brandings, and rodeos where they learn to work and adapt to new surroundings. We currently have four stallions, but we do not stand them to the public as all of our mares are pasture bred. Our stallions feature bloodlines of Driftwood, Hancock, Streakin Six, Easy Jet, and Leo. As you would expect by their bloodlines, we have a lot of blue, red, bay roans, buckskins, duns and grays as well as the other standard colors.